The ‘Areal Bären’ lies just outside of Bern towards the east of the city. On approximately 4,600 m² of land stands an old, typically Swiss farm which over the years has been transformed into a bar, restaurant and conference centre with the requisite space for events. Many of its original charm has been lost in the process. The site has also been subject to changes. Right next to the Bernstrasse the Zentrum Paul Klee (designed by Renzo Piano) was opened. The municipality Ostermundigen has developed rapidly since the railway station has been designated a hub station for the Berne railway network. Many industries have since relocated to sites bordering the rail line and it is expected that new offices and companies will relocate to this logistically favourable site. 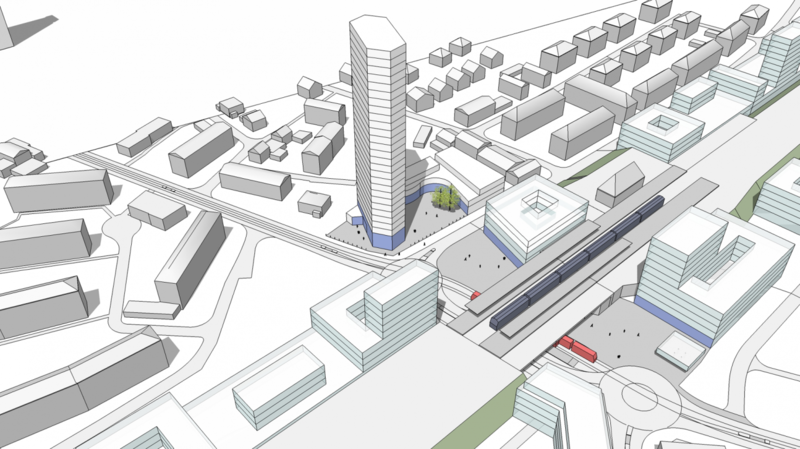 The bus line that runs via the Bernstrasse, from Ostermundigen through the centre of Bern to the east, will be replaced with a tram link. The Gasthof Bären lies exactly on the crossroads of the Bernstrasse and the planned tramline and Ostermundigen station. Many a reason for the owner to transform his Gasthof into a large hotel complex. Together with the municipality he carried out a test planning; a parallel investigation by three different teams made up of urban planners and architects, financial advisers and traffic experts. 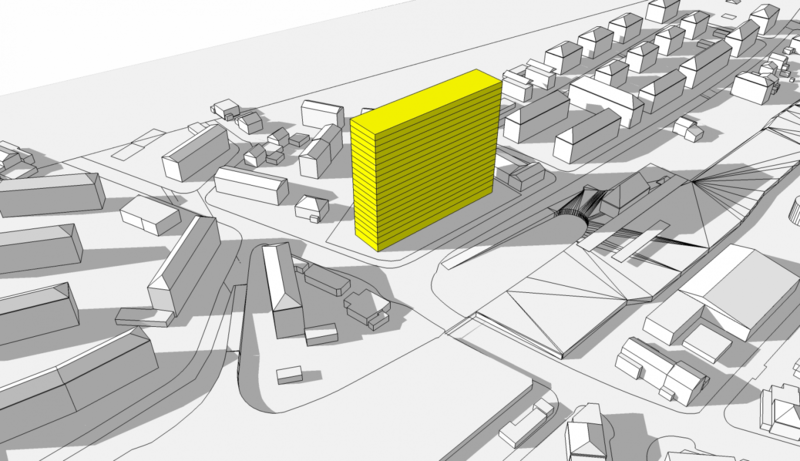 The question underlying it was to find out what building typology would be desirable for a volume of approximately 25,000 m2 to 35,000 m2. 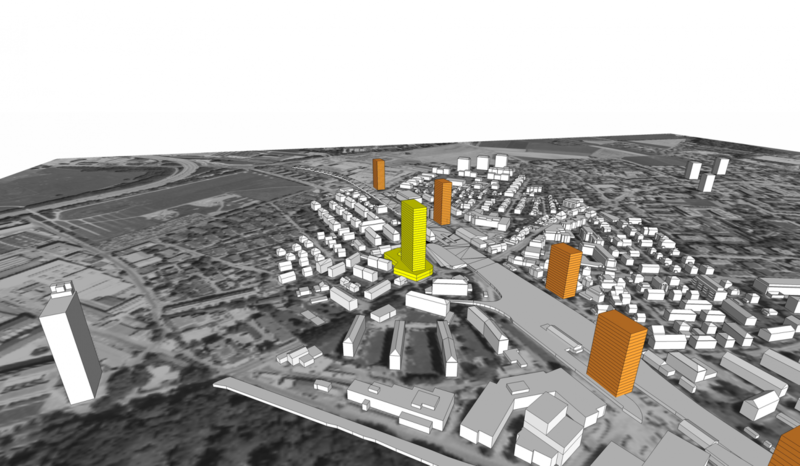 In addition, the teams would look at the urban planning impact on the area around the station. 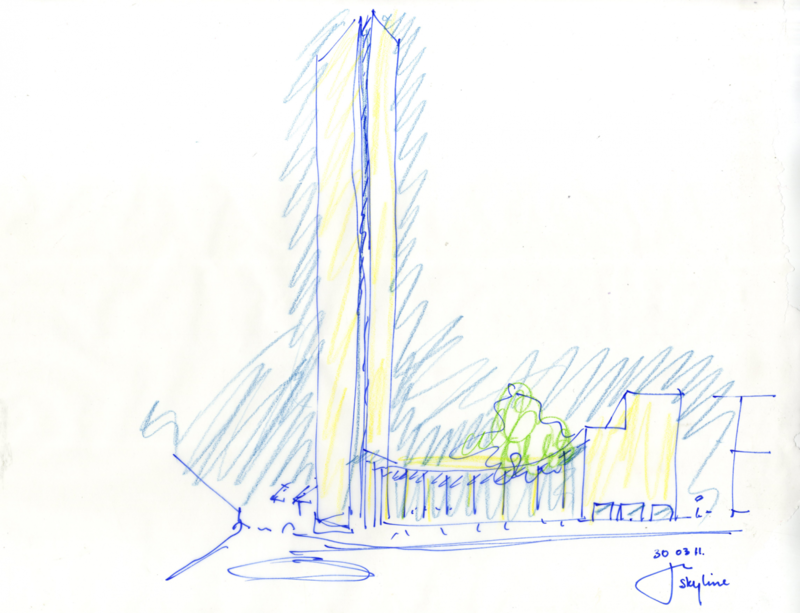 In its studies JCAU has analysed both high-rise as well as other volume intentions. 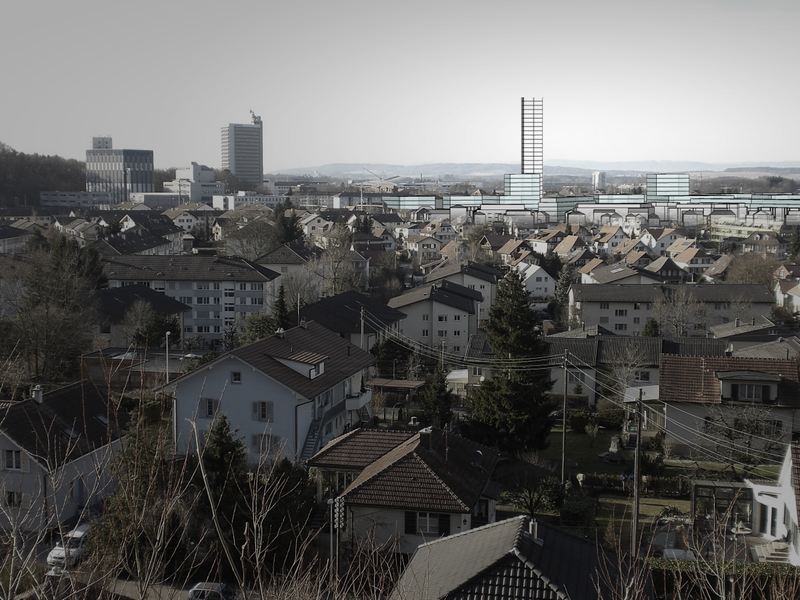 The conclusion of the first interim presentation was that high-rise would have a more positive effect on urban development than massive low-rise. 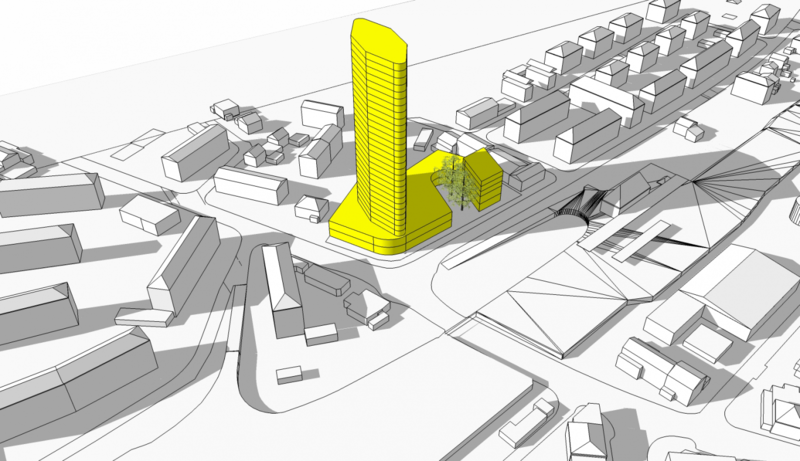 The tower however would have to have an introduction on the ground floor. The current traffic situation is not suitable for the entrance to either the hub station or the large new volume. The tram stop under the railway tunnel had been designed too narrowly. 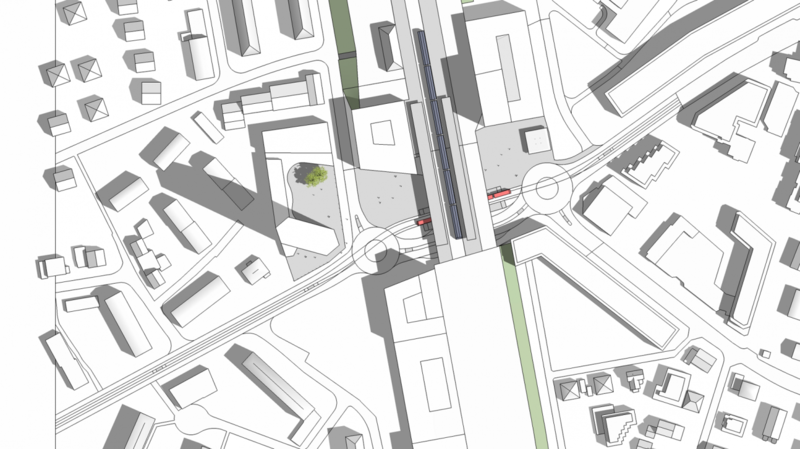 The project team proposes widening this underpass so that the tram stop will acquire its own space outside the street profile. This gives rise to the option of making this the centre of Ostermundigen in the absence of a city square. The square could link the western part of the municipality with the eastern part thanks to the availability of shops and well organised entrances to the station and the tram stop. 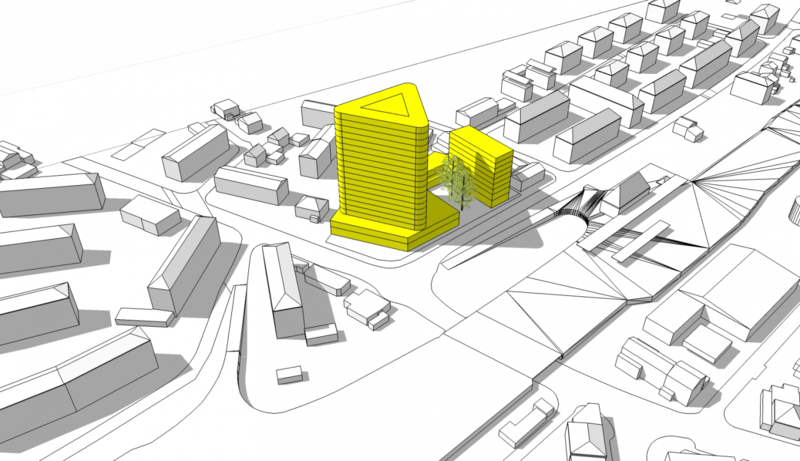 In Coenen’s opinion, the public area could be extended further onto the Bären site. In view of further developments along the railway embankment with more offices, companies and homes, widening the railway tunnel is a worthwhile investment. The flow of people, particularly during rush-hour, could be facilitated; transfers from tram to train, and vice versa, could be greatly improved. 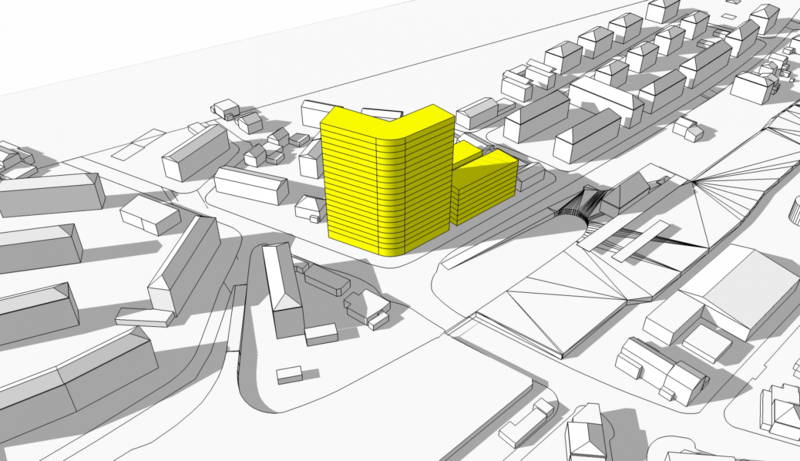 The visual link would be of considerable added value to the people of Ostermundigen who would no longer be tucked away behind an embankment but would feel more connected with the city. This social intervention would benefit the local economy and be worth the investment in the long term. 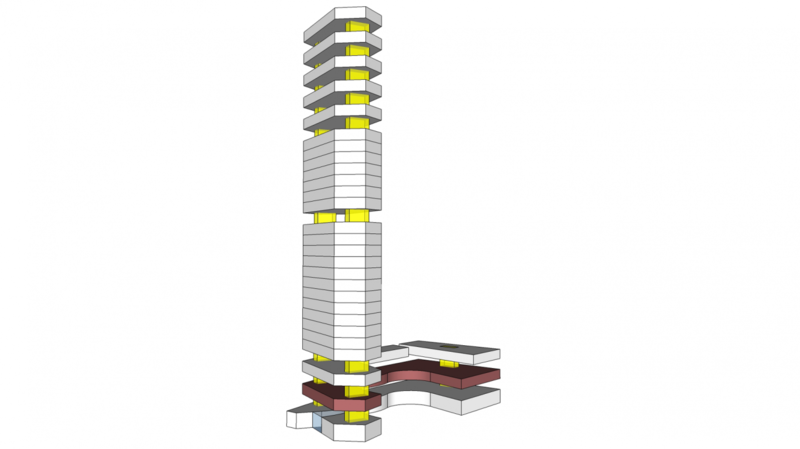 The form of the large hotel, as proposed by Jo Coenen, is based on the slim exterior of the Vesteda tower built in Eindhoven in 2006 and inspired by the Pirelli Tower in Milan, designed by the Italian architect Nervi. What these towers have in common is that their dimension appears to change as people pass them by at a distance or closely. In the case of Ostermundigen, this is also an intelligent way of influencing sight-lines. 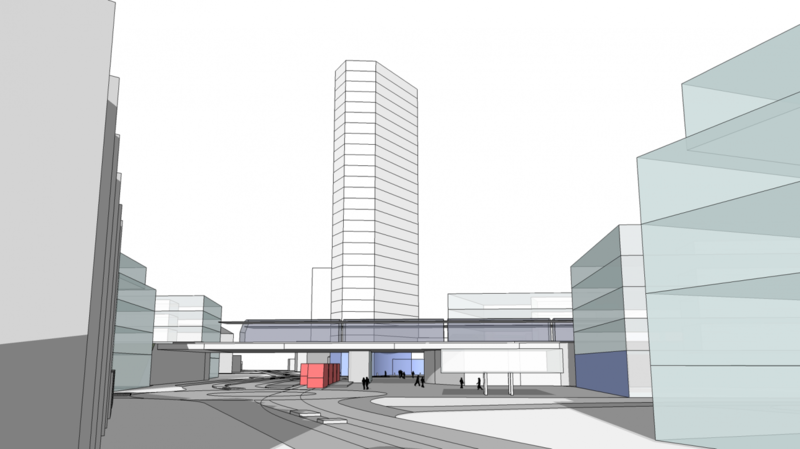 The tower was designed with an extension volume of three or four floors in order to clearly define the space on the ground floor and to welcome visitors into a semi-circular form with columns that merge the outside and attractive inside areas. 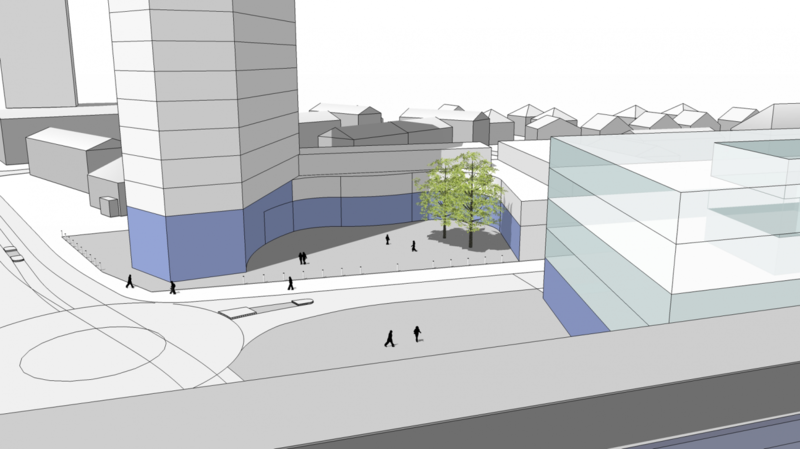 This is the area where the hotel foyer, shops and a café would come.